Now you can be warm and cool. which isn't possible with a snuggle. 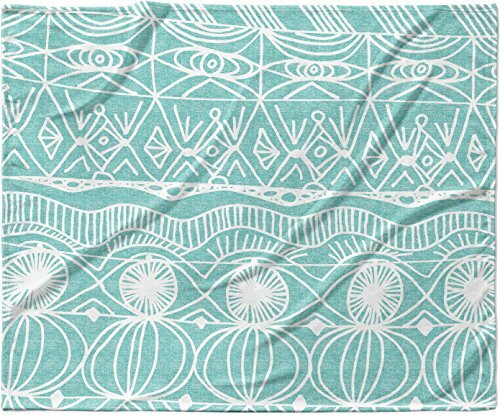 This completely custom and one-of-a-kind KESS InHouse fleece throw Blanket is the perfect accent to your couch. This fleece will add so much flare draped on your sofa or draped on you. Also this fleece actually loves being washed, as it's machine washable with no image fading. At KESS InHouse, we see home decor as a chance to add art to the home and to bring together a collaborative community of artists. Whether it's on the couch, in the kitchen or hanging from a wall, we believe that art enriches our lives and we want to support the artists who make it possible. For this reason, a percentage of every KESS InHouse sale goes back to the artist who created the design. KESS InHouse curates every piece of artwork specifically keeping in mind the product line. We pride ourselves on the quality and integrity of our company and home decor line. KESS InHouse believes artists should be rewarded for their creativity, imagination, and ability to transform a blank surface into something remarkable. We would like to invite you to join us in our fight against blank walls and creatively lacking homes.